While I’m waiting for the center section painted parts to cure for a few days I moved ahead in the plans to the next section, the seat rib assembly. 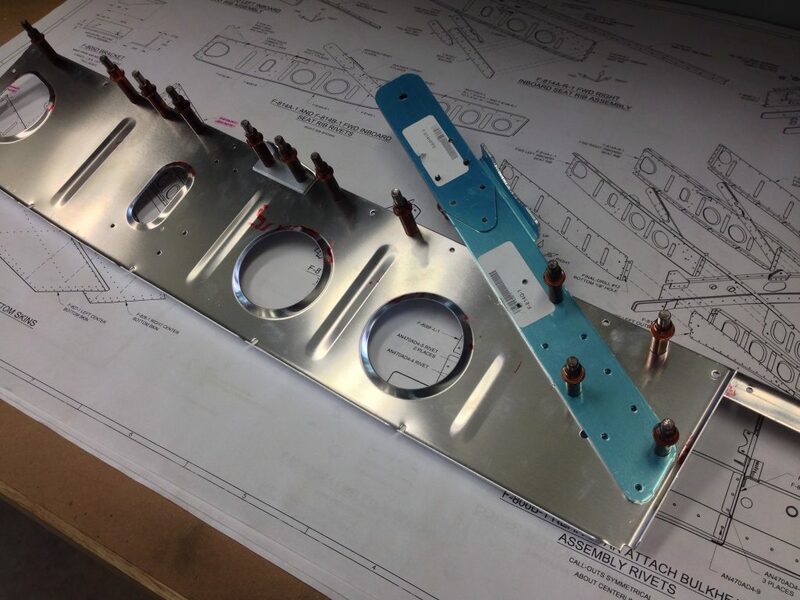 This is the section that will eventually support both the pilots and passengers seat structure. This step just continues the progress from the firewall to the tail build process. 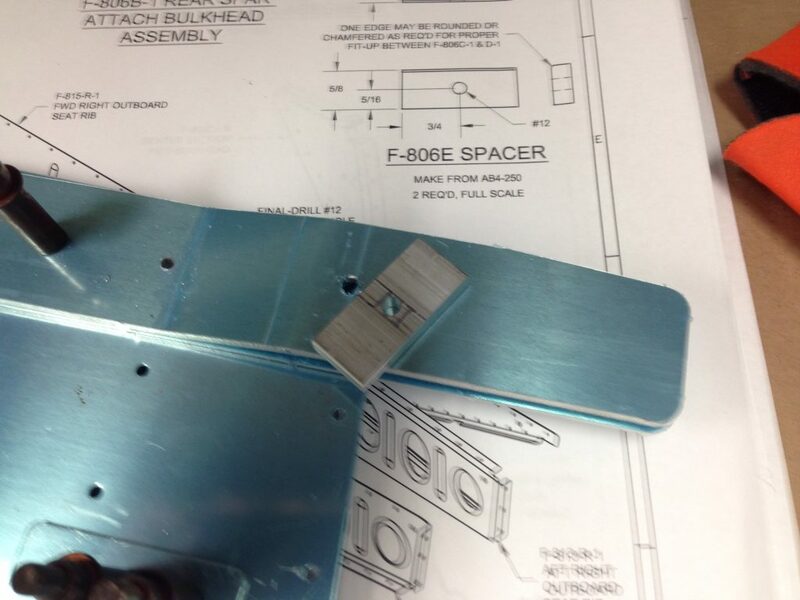 First up was to create 2 spacers out of stock that will evenly space the rear spar attach points for the rear spar of the wings. 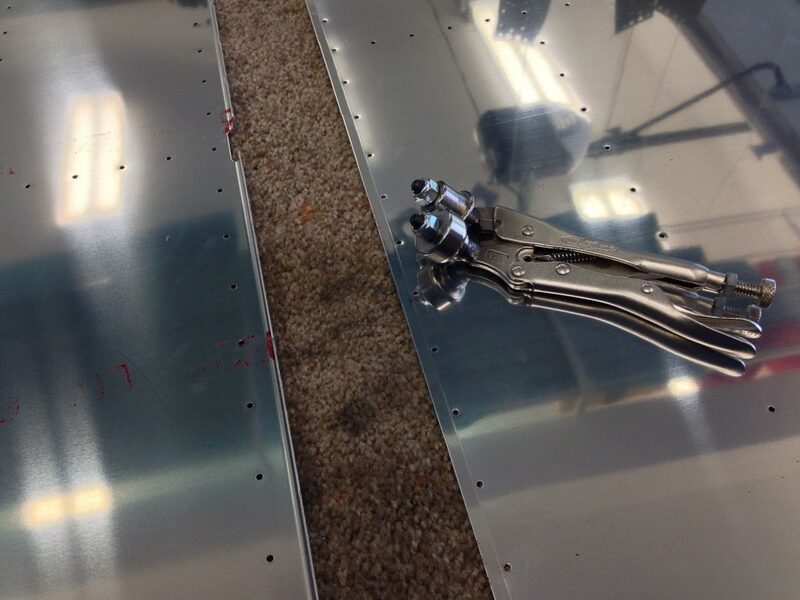 There are 2 seat rib angles that have 10 nutplates that needed countersinking for flush rivets. 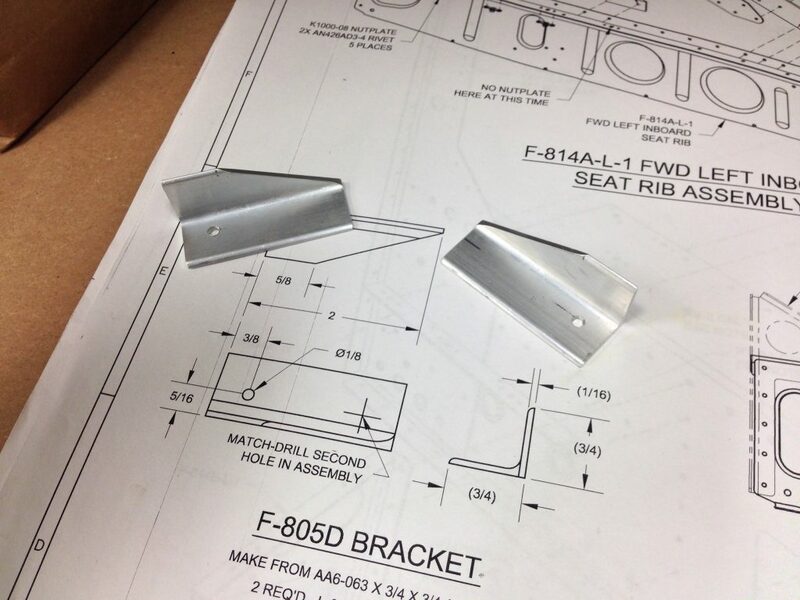 2 brackets needed to be fabricated from some 3/4″x3/4″ angle. 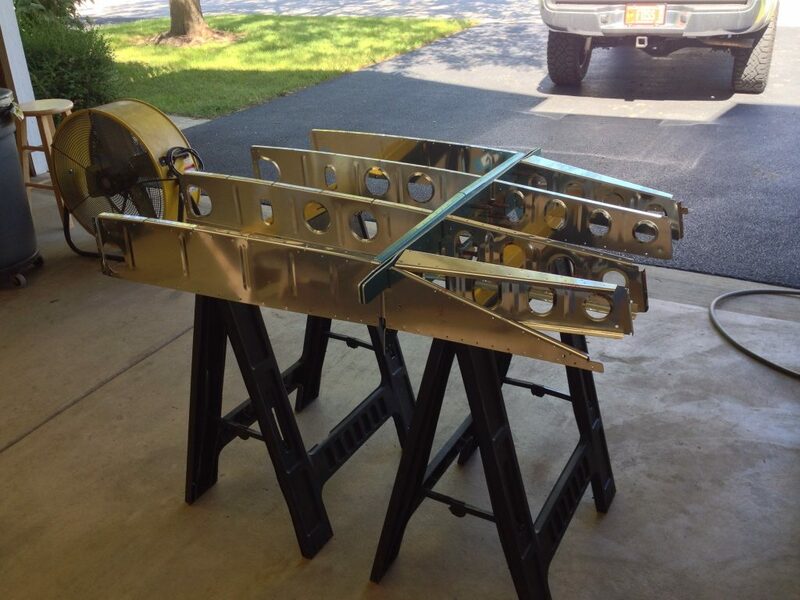 Luckily I remember reading during some research that these pieces need to be cut from the 12′ sections that came with my wing kit a year ago. 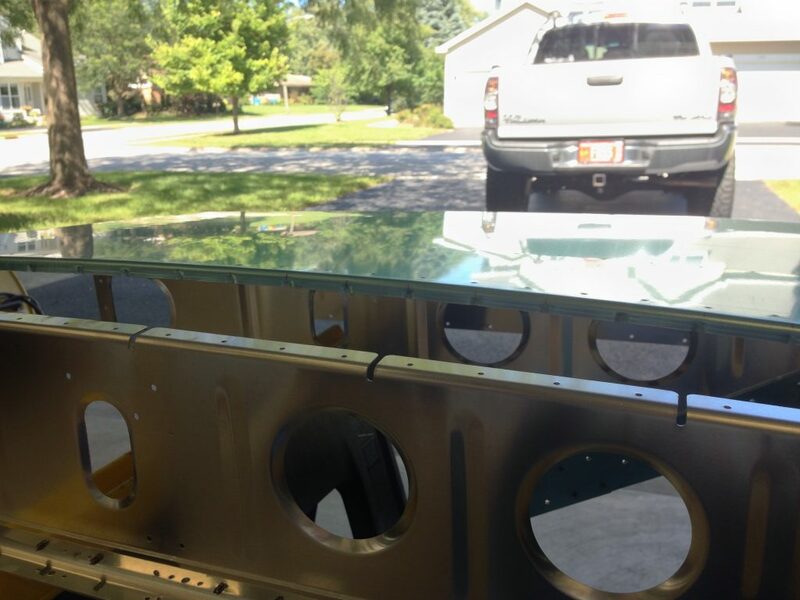 They came with them since they are so long and could fit in the wing spar boxes. 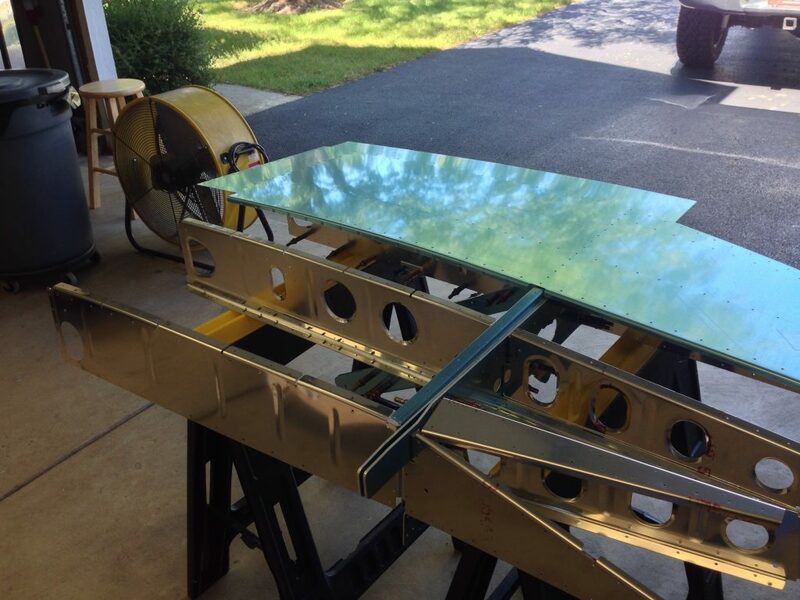 I triple checked the fuselage plans to make sure I had the right pars for the longerons, the angle pieces that will run uninterrupted from the firewall to the tail. They are not expensive but shipping would be due to their lengths. 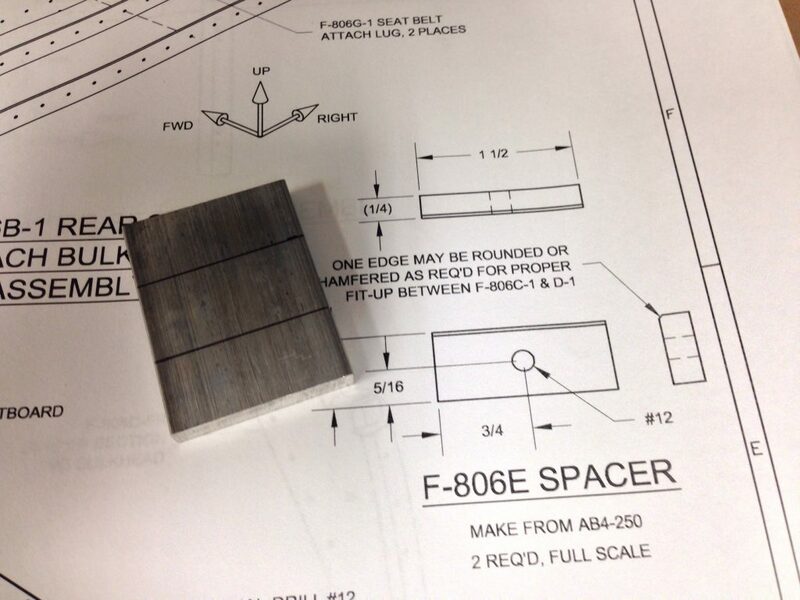 Once I was sure I cut 2 1/8″ pieces, one from each piece of 12′, to minimize the effects of a bad decision here. 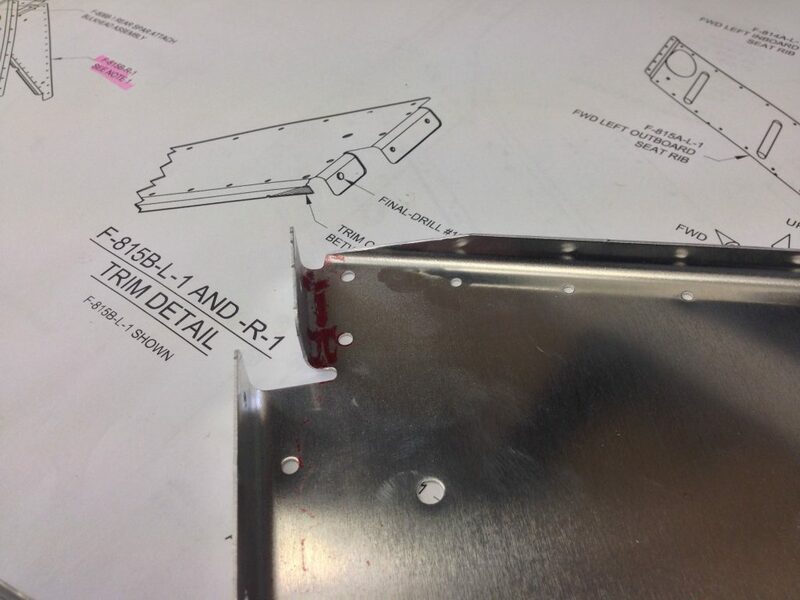 Then I fabricated them per the plans. 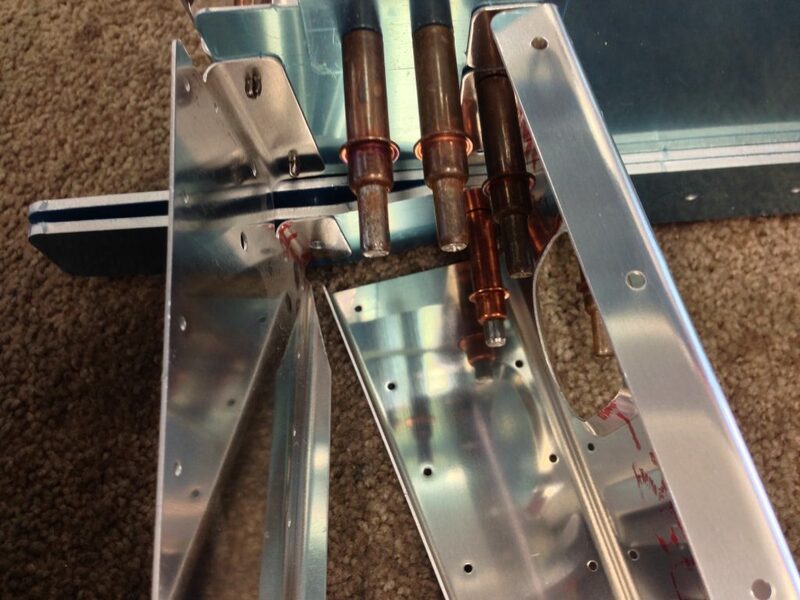 With one hole drilled in the bracket you can match drill the second using the rib as a guide. 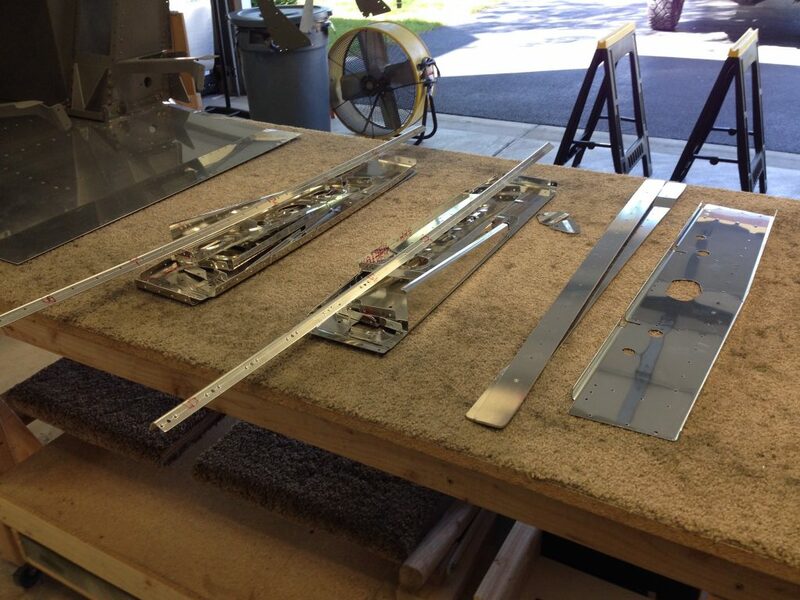 I then match drilled all the 1/8″ holes on each of the inner rib structures with the seat belt attach points. 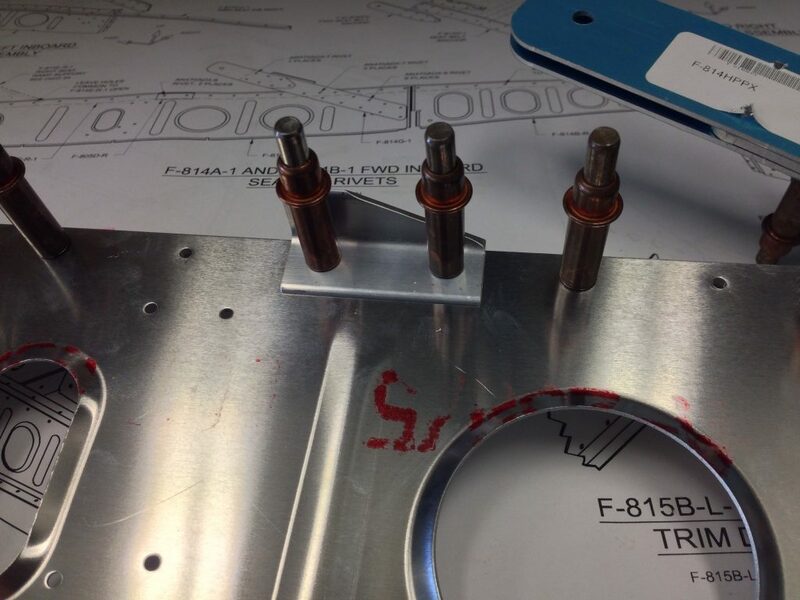 The 2 outboard aft seat structure ribs needed to have a little modification done to the forward part of its flange to make room for the flange of the next rib inward due to the angles the 2 ribs sit at. 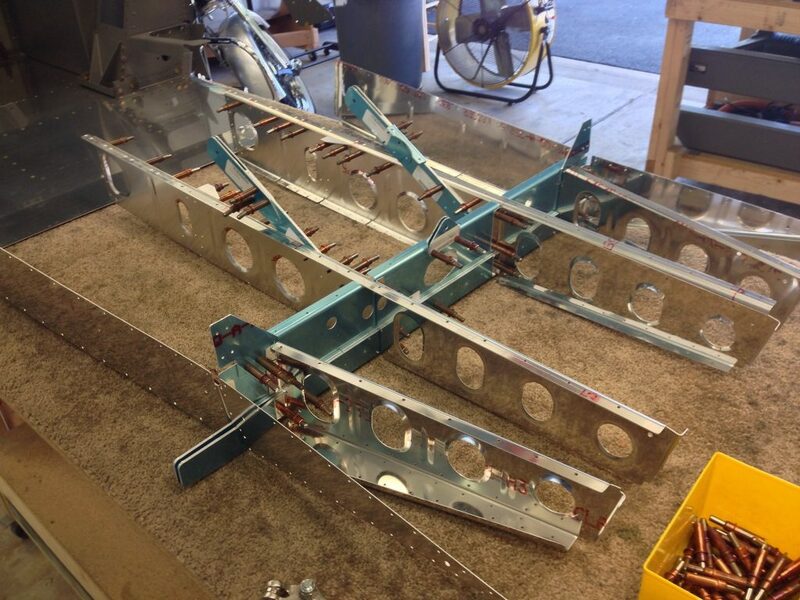 Now you can clecko all 10 ribs to the rear spar attach bulkhead to match drill all the common holes. I grabbed my 2 sawhorses and placed the seat rib assembly upside down on them. 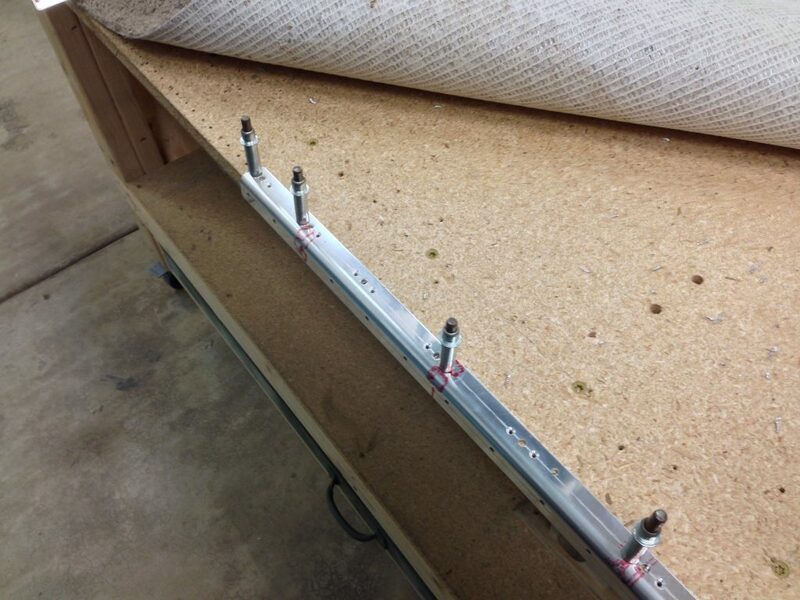 This allowed the curve of the bottom to show as the top of the ribs are laying flat on the sawhorses. This allows you to lay the bottom skin down on the substructure to get the curve right by fluting the flange of the skin. This way the skin matches the curve of the rib. 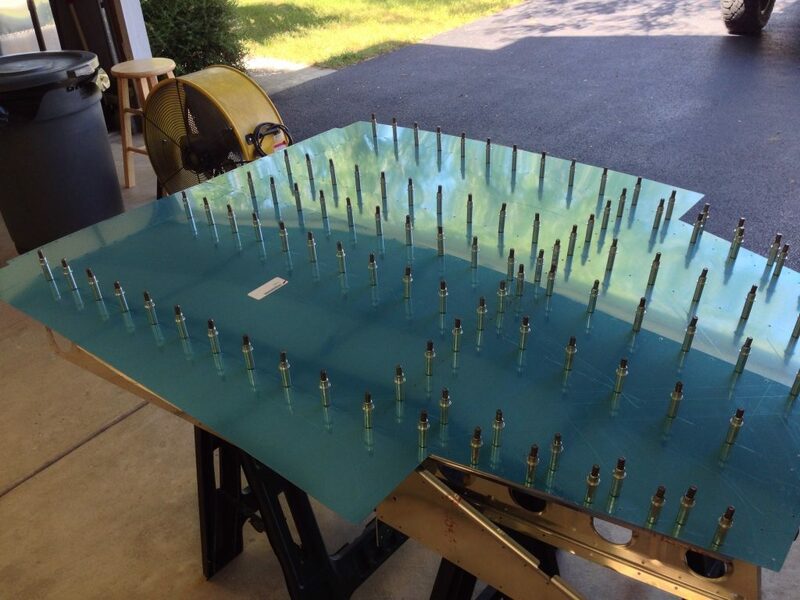 I then clecko’d both skins to the substructure to match drill all the 3/32″ holes. 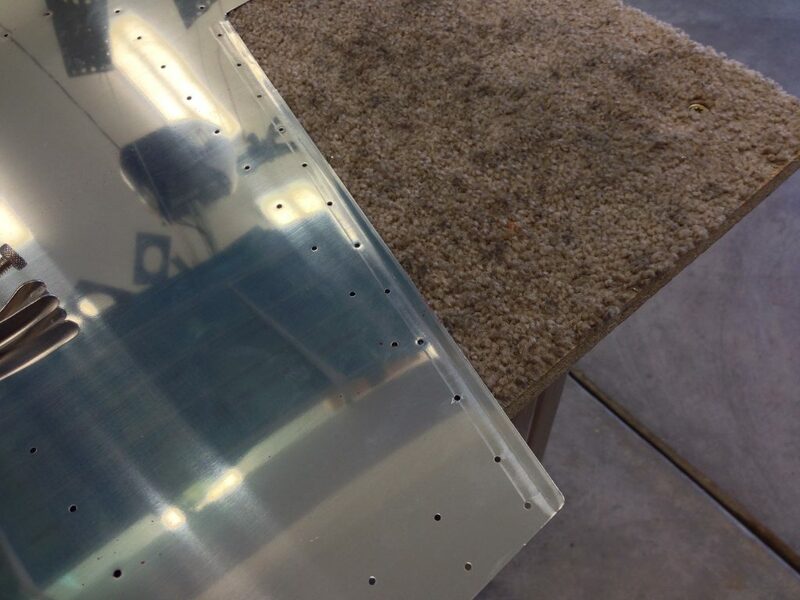 I edge rolled the right bottom skin where it overlaps the left skin so that it will sit tight after riveting. I also edge rolled the outside edges of the aft ends of both sides where they will over lap the curved side skins later in the build. I disassembled all the parts and now the fun deburring begins on all the edges, lightening holes and rivet holes. I did a little deburring on a few parts and decided to call it a day.